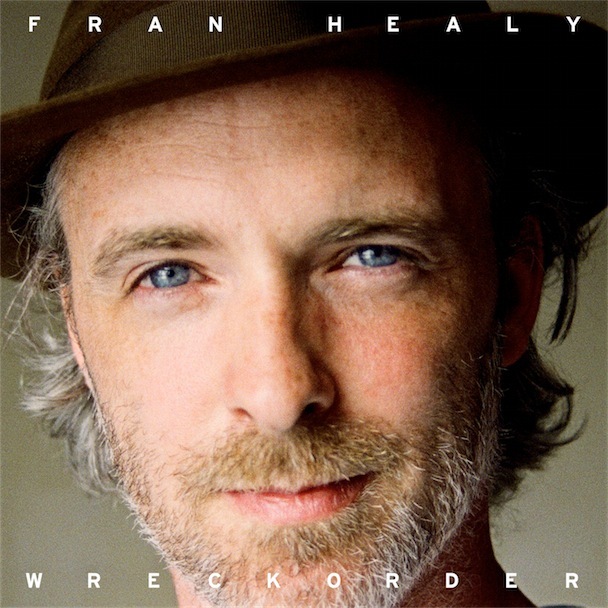 There is such beauty and depth to Fran Healy’s voice and he uses every ounce to full effect on his superb debut solo album entitled ‘Wreckorder’ which is released this week. The album is full of solid, finely crafted and tremendouly well written tracks. It’s on the lean side, at 33minutes in length but each of the ten tracks feels right! Album opener ‘In The Morning’ is a tense piano led number, the last minute of the track is an instrumental break which adds to the grandeur of the track. ‘Sing Me To Sleep’ is glorious and features the vocals of Neko Case… the beauty lies in the yearning found within the lyrics “I wanna hold you but it’s just too late now”. Other highlights include ‘Holiday’, which could easily fit on a Travis album and is currently offered as a FREE download by signing up to Fran’s mailing list, you can join and get the track here. ‘Rocking Chair’ is a gorgeously fragile acoustic led track with a hint of strings – bliss. The album closer ‘Moonshine’ is tremendous, it’s both playful and knowing! ‘Wreckorder’ is a brilliant album, it showcases consistency and impressive production. Bravo to all involved! You can listen to the album in full at we7 here.